The friendship between Mary and Nix had endured since childhood, a seemingly unbreakable bond, until the mid-1980s, when the two young women embarked on a summer vacation in Greece. It was a trip initiated by Nix, who had just learned that Mary had been diagnosed with a disease that would cut her life short and who was determined that it be the vacation of a lifetime. But by the time their visit to Greece was over, Nix had withdrawn from their friendship, and Mary had no idea why. Three years later, Nix is dead, and Mary returns to Europe to try to understand what went wrong. In the process she meets the first of many men that she will spend time with as she travels throughout the world. Through them she experiences not only a sexual awakening but a spiritual and emotional awakening that allows her to understand how the past and the future are connected and to appreciate the freedom to live life adventurously. 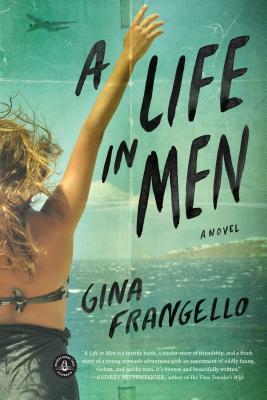 Gina Frangello is a cofounder of Other Voices Books and the editor of the fiction section at The Nervous Breakdown. She is also the author of one previous novel and a collection of short stories. She lives in Chicago. Her website is www.ginafrangello.com.